Like some mythical beast of yore, PageRank is a subject often mystified and hallowed within the SEO world. It’s said that if a website yields high PageRank, it will dominate search engines, burying competitors and attracting hordes of interested users. So, is PageRank real, and can it be the answer to an attorney’s SEO woes? Unfortunately, PageRank no longer exists. Created in 1996 by Google founders Larry Page and Sergey Brin, PageRank was phased out from Google tools in 2009 (which was 10 years ago, can you believe it?). Back in the day, PageRank assigned a numerical score of 0 to 10 for each page on the Internet. A website with a high score could links to a website with a lower score and transfer some of its “link juice.” But over time, Google learned that this system could be easily rigged. Black Hat SEO companies were pumping thousands of foreign, irrelevant links across the Internet to achieve high Google rankings without any actual website quality. This practice impacted the quality of Google search results, pushing down sites that were actually relevant to a user’s query. For quite a while, Google has asked website owners to focus less on their site’s PageRank, and more on its relevance and quality to users. Of course, focusing on a website’s quality is easier said than done. These days, designing a law firm website isn’t as simple as throwing up some pictures and copy on a few pages. If a firm is truly committed to success on the Internet, resources must be spent on everything from making the site mobile friendly to writing enough service pages to ensuring the right design elements. 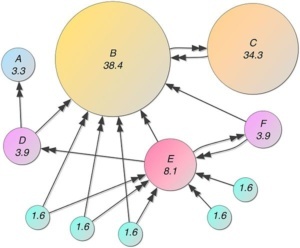 PageRank went away because it simplified the complex ecosytem that is online marketing. Today, organic search with Google is designed purely for the user. And while it definitely isn’t easy to rise to the top, many law firms find that it’s worth the effort. Get in touch today with FirmFinder for more tips on SEO and designing the perfect Google-friendly website for your law firm!